Art and Money will be the central theme of this year's MAK Day on 26 October and the various events and activities scheduled for the national holiday on which admission to the MAK is free. 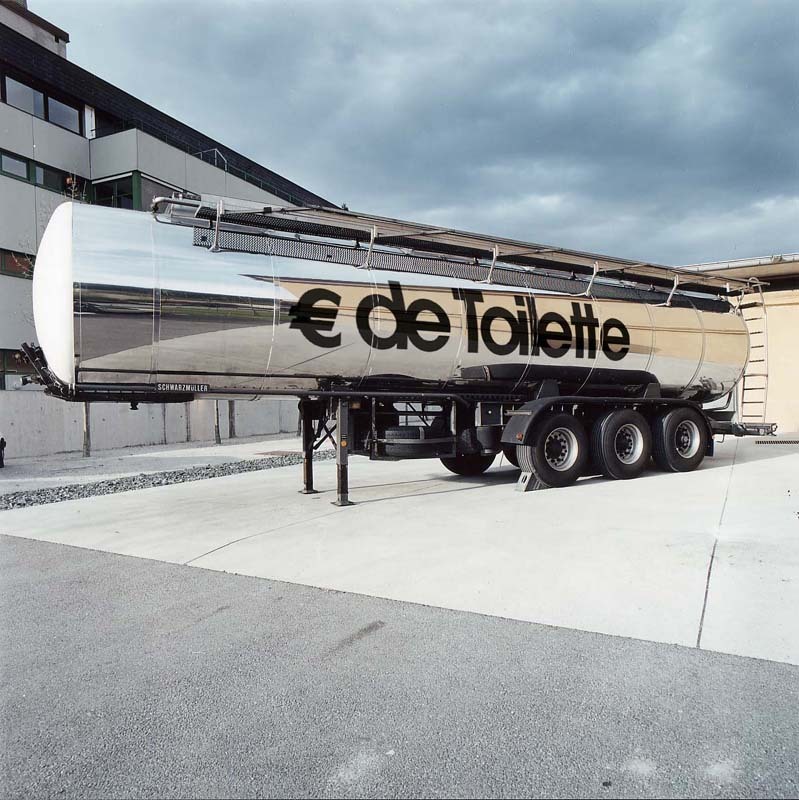 Parked in front of the main entrance to the MAK for one day, the money-tanker EU de Toilette of the group Sabotage Communications will be pumping perfume with an Austrian shilling scent directly into the columned central hall of the MAK via a hose line. The perfume will bubble from a fountain where visitors may fill their personal small bottles with EU de Toilette and take it with them as a lucky charm. The highlight of the event will be the presentation of a 10 Euro bill with an Austrian shilling scent in view of the approaching introduction of the Euro - the name of the bill: EU de Toilette Invest In Your Nose. 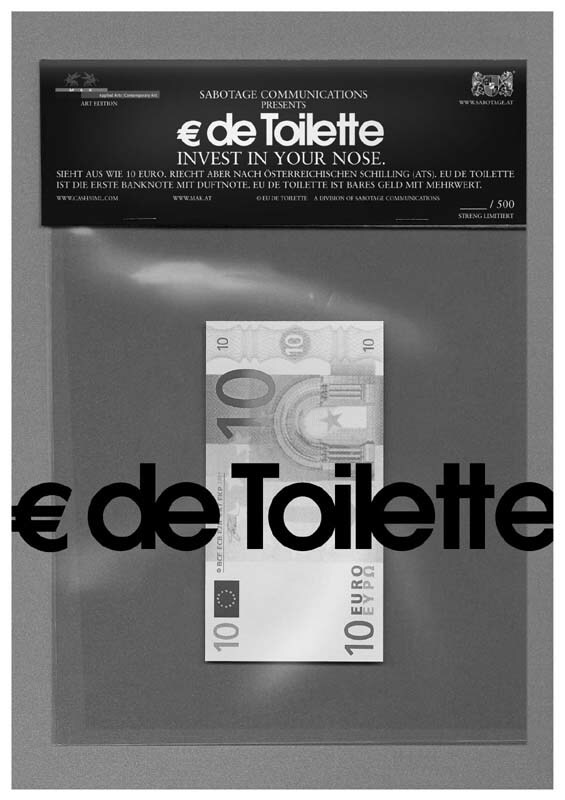 Together with artists Robert Jelinek and Erich Poettschacher, the MAK will issue the edition EU de Toilette Invest In Your Nose; the edition is limited to 500 numbered copies, each of which perfumed with Austrian shilling scent and vacuum-packed. Visitors may order this exclusive edition on MAK Day, choosing the number they like, and buy it as from 2 January 2002 in the MAK Design Shop. Opening hours 10.00 a.m. 6.00 p.m.